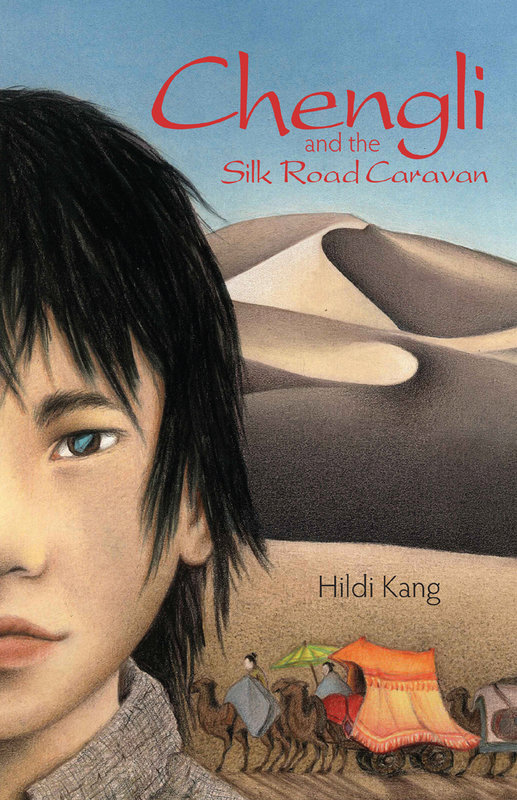 An orphaned Chinese boy joins a caravan to explore the desert and hopefully find out more about his father. A grand adventure set on the fabled trade route. At one point, as they drove eight hours on the one and only paved road between Khiva and Bukhara with nothing at all in sight except flat, barren, desolate land, Hildi vividly imagined a camel caravan making the same trip. The realization suddenly hit her that the “trade routes” are still in use: camel caravans have become truck caravans using the same but recently paved road, and travel is still in groups, for the dangers haven’t changed. Photos preserve the trip; the story of Chengli shares it.